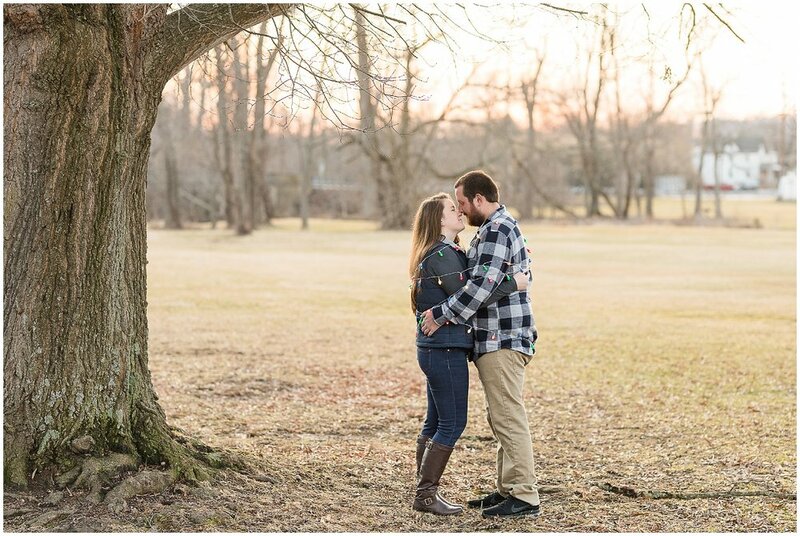 I met Katelyn and Ryan at Union Mills Homestead in Carroll County, Maryland for their engagement session last week. 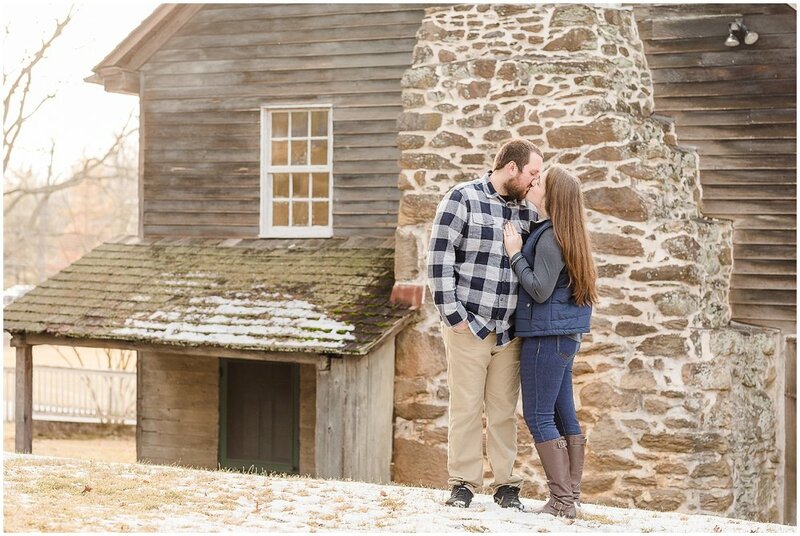 We had originally planned to do their session in January, but rescheduled in hopes that we would get some snow later in the winter. We waited for a few weeks with no hope of snow until last Saturday. It snowed about 3 inches overnight. Sunday morning Katelyn texted me and asked about doing the session that day while there was still snow on the ground. 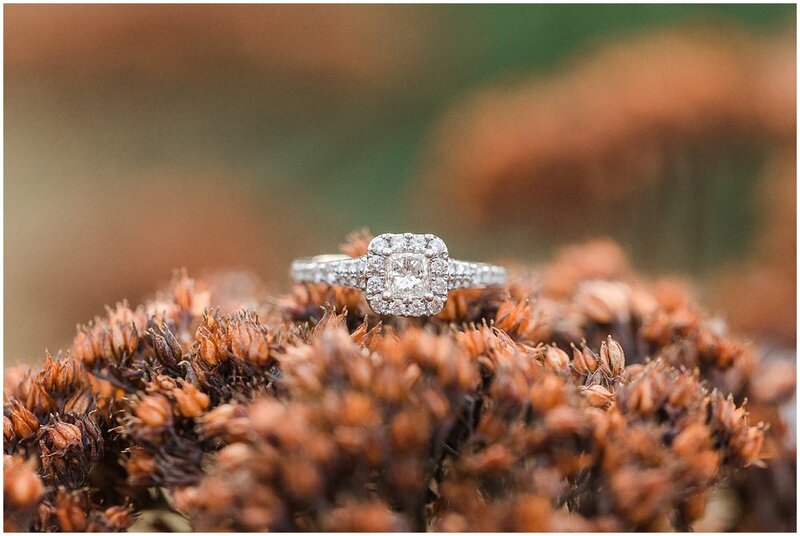 I said yes and started to get my equipment together with a smile on my face because this session was finally happening! Slowly as the day went on more and more snow melted. By the time we started to shoot it looked as if there was never any snow! It was definitely a bummer, but luckily we found a few small patches hidden in the shade! 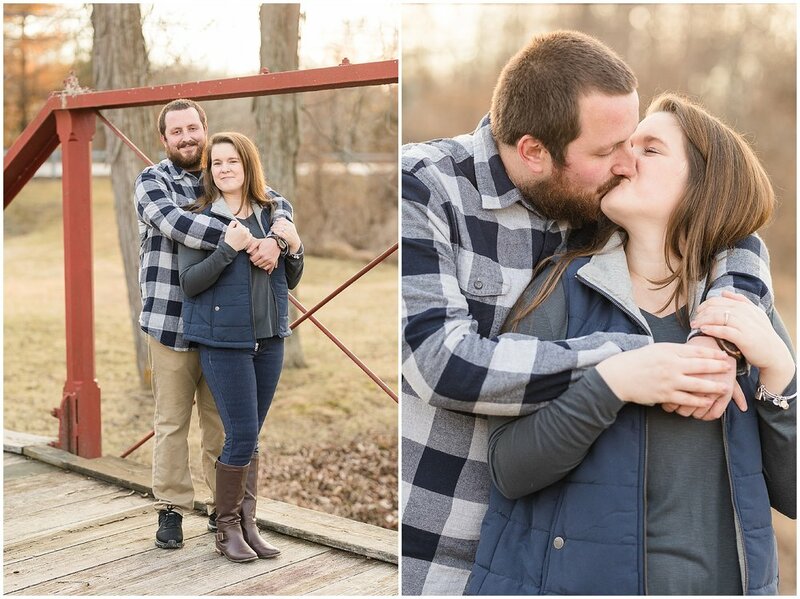 Katelyn and Ryan are such a sweet couple! I went to grade school with them what seems like ages ago! It amazes me how fast time flies. 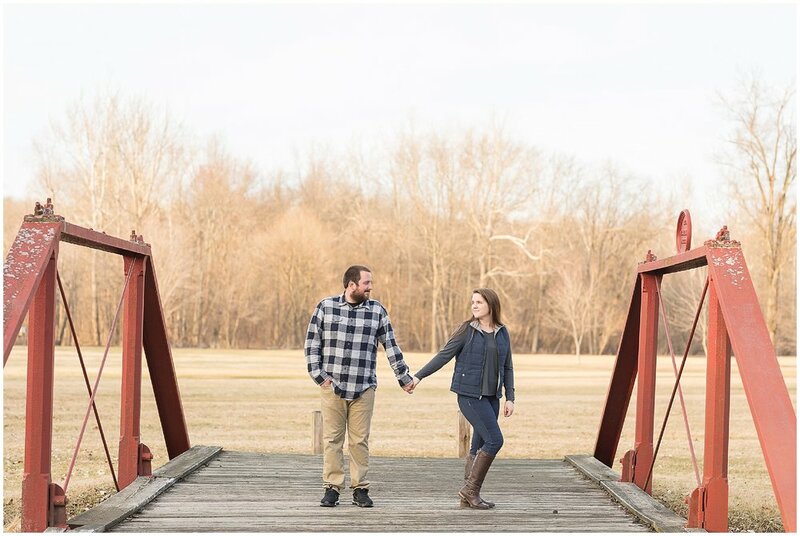 Katelyn and Ryan spent a lot of time planning all of the different props that they wanted to use during their session. 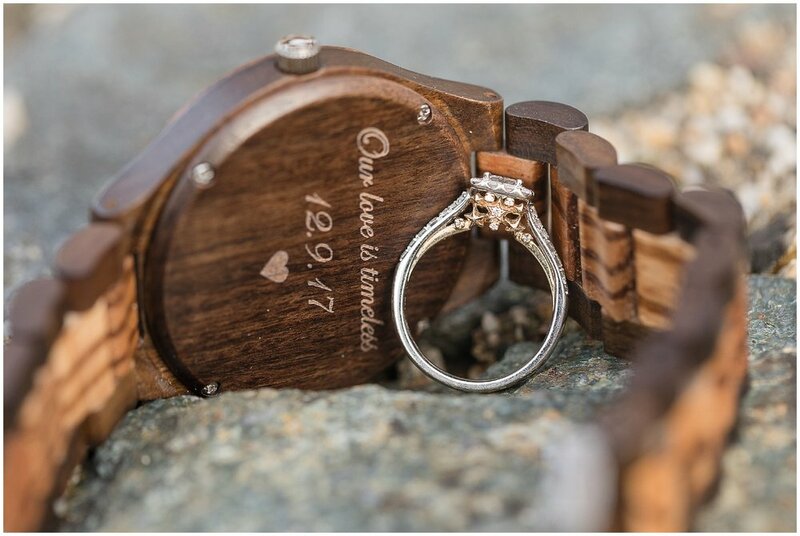 I love when couples include meaningful things that help tell their story! 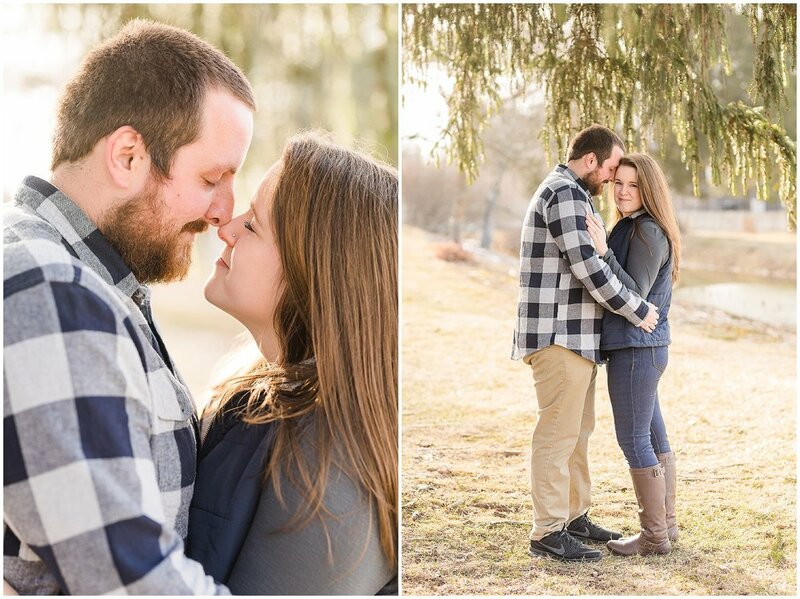 They are still in the process of starting to plan for their wedding, so they don't have a date quite yet, but I am excited to see when and where they decide to tie the knot! 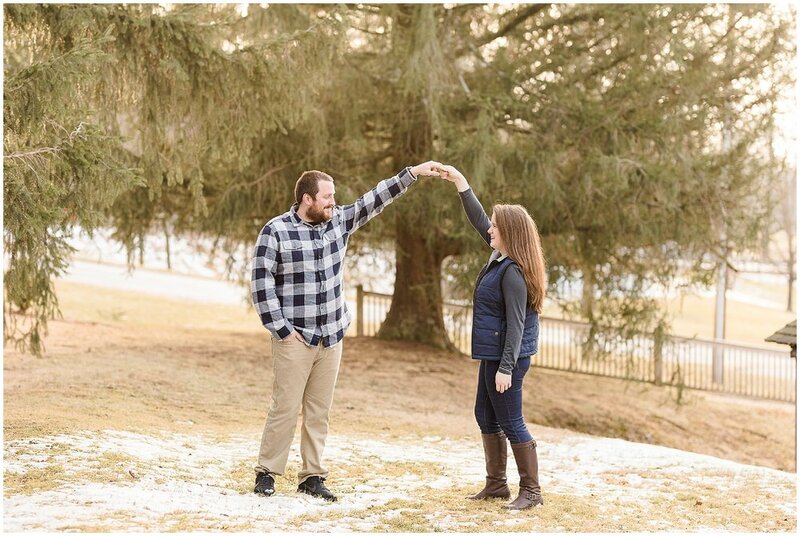 Please enjoy a few of my favorites from their engagement session!